Herman: audio a bit harsh, slightly unclear adjust? or is it me? 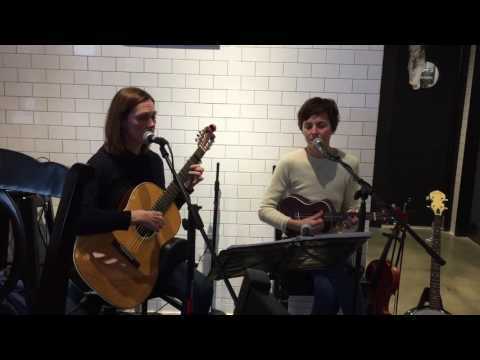 Damsel is Beth Meyers (vocals, viola, ukulele and banjo) and Monica Mugan (vocals and guitar). The duo composes original works and their sound is categorized as Indie Neo Folk. Before Damsel, Beth and Monica played together for years in the quartet, QQQ, whose album "Unpacking the Trailer" was called "gorgeous ... a bold statement of purpose disguised as an unpretentious lark" (Time Out New York). Damsel's debut "Just Sit So" will drop in September 2017.